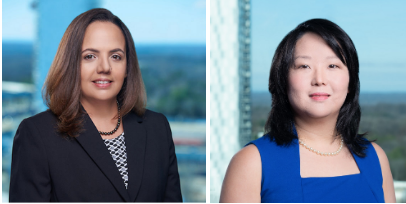 CollabraLink Technologies, Inc. has promoted Luana Lewis to president and chief operating officer and hired Yoko Jolly to oversee the operations of the company’s health care programs. Over the last five years, Lewis guided and oversaw CollabraLink’s successes spanning operational execution, organizational development and growth achievement, the company said. Before joining CollabraLink in 2013 as COO, Lewis served as senior vice president at Acentia (formerly 2020 Company), where she led the company’s Science and Education Sector and focused on program management, business development and client service delivery for federal clients. Jolly brings over 20 years of experience from Accenture to her new role as vice president of operations. Most recently, Jolly worked with clients at the departments of Justice and Veterans Affairs on modernization efforts that included moving clients to Salesforce, Pega and cloud-based infrastructure, as well as standing up analytics and agile and DevOps capabilities.